The great carrier air battles of 1942 demonstrated to the Imperial Japanese Navy that they needed a dedicated fleet reconnaissance aircraft that could outperform enemy interceptors, if they were to spot the enemy task force and return to tell the tale. 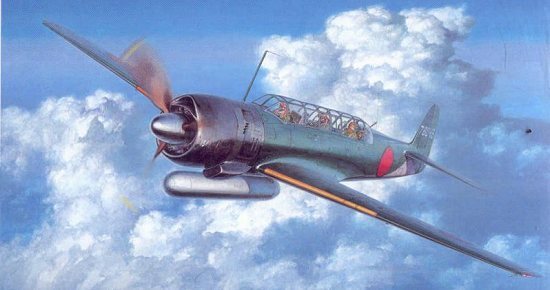 The Nakajima B5N2 "Kate," which had the range to shadow the enemy, did not have the performance to escape the interceptors when discovered. In the spring of 1942, Nakajima Hikoki K. K. received a new specification from the Naval Staff for a 3-seat aircraft with a maximum speed of 648 kph (403 mph), a normal range of 2,780 km (1,727 mi), and a maximum range of 4,956 km (3,078 mi), with a landing speed not to exceed 130 kph (81 mph). Engineers Yasuo Fukuda and Yoshizo Yamamoto originally envisioned a pair of 1000 horsepower engines buried in the fuselage of the new design, driving propellers mounted on the leading edge of the wings via extension shafts. The introduction of the 1,860 h.p. Homare engine, which had a relatively small diameter coupled with a high power rating, allowed Fukuda and Yamamoto to meet the specified speed and range goals using a single engine. With a relatively small, laminar flow wing to provide the necessary speed, both area-increasing Fowler flaps and Handley-Page slots were used to keep the landing speed low. Nakajima completed the first prototype in March 1943 and flew it on May 15. From the start, the Homare engine failed to generate the specified power at altitude and suffered other problems associated with most new engines. While the aircraft handled well, the power loss meant that the speed requirements could not be met. However, the speed that was achieved - 639 kph (397 mph) - was still better than that of the airplane's expected opponent, the Grumman Hellcat. The Navy ordered the Saiun into production in the spring of 1944, taking first delivery in September. By war's end, Nakajima had built 463 C6N aircraft. Prototype C6N1 aircraft first saw combat during the battles for the Marianas. Carrying a torpedo-shaped gas tank of 730 liters (193 gal), the C6N1 "Saiuns" (Japanese for "Heavenly Cloud" - the Allied code name was "Myrt") could fly more than 4,830 km (3,000 mi). Combined with their high speed, they were safe from intercepting Grumman Hellcats and could shadow the U.S. fleet with impunity. Unfortunately, with the loss of the Japanese carrier fleet off Cape Engano during the Second Battle of the Philippine Sea in October, 1944, they were restricted to land bases from then on. A C6N1 was the last aircraft shot down in World War II, at 0540 August 15, 1945, five minutes before hostilities ended. 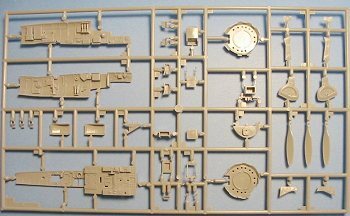 As is usual when Hasegawa goes out to do a model of a Japanese airplane, they do it as right as they can. The molds are crisp. I have heard they took measurements from the only C6N1 still in existence, the night fighter version at the U.S. National Air & Space Museum, so presumably they "got it right" as regards dimensional accuracy. 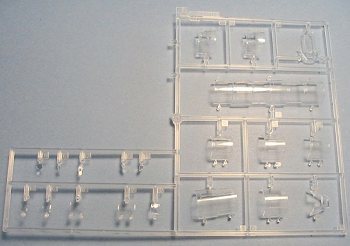 From photos of the cockpit, I can definitely say the kit-supplied cockpit is accurate; like that of the B5N2 "Kate", Ki.43 "Oscar", and Ki.84 Frank, you will not need a resin replacement here. Also, as is usual with their more recent releases, the kit comes with separate flaps and slats. 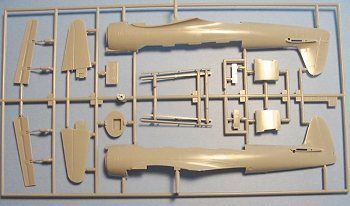 The modeler additionally has the choice of assembling the cockpit canopy closed or open, and these parts are very clear. Decals are provided for two different aircraft. There are enough number decals that a modeler could presumably do any C6N1 they had a photo of, since the individual numbers are about the only thing that visually distinguishes these airplanes. For those fans of Japanese aircraft of the Second World War, Hasegawa has provided another winner. It looks accurate and well-detailed, it doesn't need any aftermarket items, and it is priced to provide excellent overall quality for money spent. 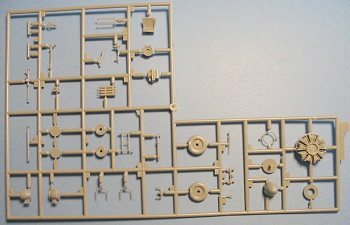 Review kit courtesy of HobbyLink Japan.